This inimitable picture book is perfect for reading aloud, or for small children to read to themselves time and again. First published in 1968 and never out of print, it has become a timeless classic enjoyed and beloved by generations of children. The magic begins at teatime! 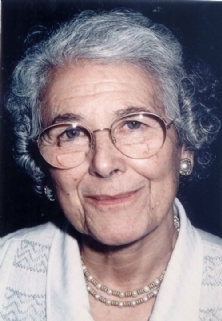 'Judith Kerr ' was born on 14 June 1923 in Berlin but escaped from Hitler's Germany with her parents and brother in 1933 when she was nine years old. Her father was a drama critic and a distinguished writer whose books were burned by the Nazis. The family passed through Switzerland and France before arriving finally in England in 1936. Judith went to eleven different schools, worked in the Red Cross during the war, and won a scholarship to the Central School of Arts and Crafts in 1945. Since then she has worked as an artist, a BBC television scriptwriter and, for the past thirty years, as author and illustrator of children's books. Her three autobiographical novels are based on her early wandering years (which against all the odds she greatly enjoyed), her adolescence in London during the war, and finally on a brief return to Berlin as a young married woman. The stories have been internationally acclaimed and, to the author's considerable satisfaction, have done particularly well in Germany where they are sometimes used as an easy introduction to a difficult period of Germany history.